Still no finishes for this week-but I am getting close. Should have the Ruby Slippers Quilt complete by the end of the week. 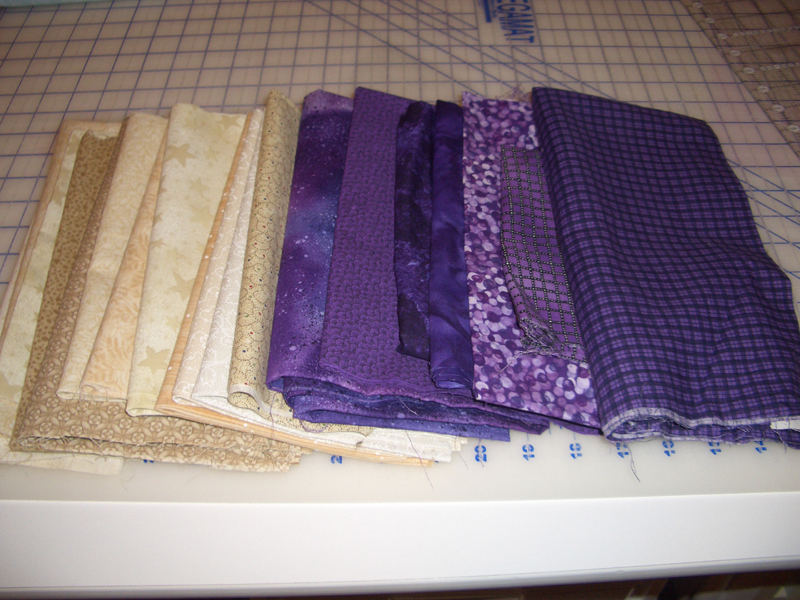 Picked up some great bargains this week at a Quilters Garage Sale. I was amazed by all the fabric, books, patters, and notions that one person had collected! Found some great neutrals and purples for an upcoming Mystery Quilt with Bonnie Hunter. If you have never participated in a Mystery Quilt, I would encourage you to try it out. Looks like the new one with Bonnie Hunter will be starting mid-November. All in all I added about 5 yards this week. Love the purples, and you can never have too many neutrals!